I recently got a Cricut Cuttlebug Mint, a portable, hand-cranked, die cutting and embossing machine. In today’s post I’ll share my unboxing and review, along with my thoughts about how it compares to electronic cutting machines. This post contains affiliate links. I may receive compensation (at no added cost to you) if you make a purchase using these links. A free Cuttlebug was provided to me by Cricut. Although I accept free products for review, I do not accept additional compensation, nor do I guarantee a positive review. My reviews are based entirely on my honest opinions. About two years ago, I was introduced to the world of cutting machines. As a mostly yarn crafter, I’ve always been intrigued by (but not very gifted at) paper crafts. Then in 2016, Cricut sent me the Cricut Explore Air (reviewed here). It’s a pretty incredible machine, and I loved the ability to make my own iron-on projects and more. You can see many of the projects I made with the Explore Air in this roundup of answers to the 12 most frequently asked questions about Cricut. My first project using the Cricut Explore Air. Last August, Cricut introduced the Cricut Maker and it immediately went on to my wishlist. I was lucky enough to be sent one as part of a series of posts I wrote about Cricut’s new Scoring Wheels. Finally, I was able to tackle my fear of paper crafts! You can find out more about the Scoring Wheels in these three posts (here, here, and here). My Cricut Maker in all its glory. With all of this technology in my hands, why would I be interested in checking out the (relatively) “old school” Cricut Cuttlebug? A few reasons. As my long-time readers know, I live in New York City and I often craft on the go. I don’t have a car and carrying around a Cricut Maker on the subway isn’t really ideal. Also, there are times when I like to “unplug” and the Cuttlebug doesn’t hook up to anything. Finally, it’s small. That makes it both portable AND easy to store in my one bedroom apartment. Let me tell you about my first experiences using the Cricut Cuttlebug. The Cuttlebug comes with three Plates, the A Plate and two B Plates, and a Rubber Embossing Mat. All three Plates and the Mat measure 6” x 8.” The Cuttlebug surface area is 6” wide, but if you are using longer dies, you will also want to get the longer, 6” x 13” Plates or Mats. It also comes with two metal dies (I used the “Thank You” one for my first project) and an embossing folder. By the way, these Plates are sometimes called Spacers, so don’t let the lingo confuse you. Just like when you buy a fancier machine like the Cricut Explore Air or the Cricut Maker, Cricut tries to make things easy for you right out of the box. With the dies, embossing folder, Plates, and Mat that come in the box, you are ready to make your first project… sort of. Unlike the electronic machines, though, the Cuttlebug doesn’t come with materials for your first project. You’ll need to supply your own materials to cut or to emboss. I didn’t realize this and I did do the unboxing and my first project away from home. I happened have a scrap piece of Gold Adhesive Foil left from my DIY Christmas Tree Decoration tutorial and a small notebook that I got for free at a conference with me, and that’s how the idea for the gratitude notebook was born. Also, because the Cuttlebug doesn’t require Cricut Design Space (or a computer/tablet/smartphone, or internet access), you also don’t have the helpful prompts and videos to guide you through your first project. Since I had never used a die cutting machine before, I was a bit confused by how to position the Plates, if the die needed to face up or down, etc. Cricut does include a brochure, but if you prefer video help, I recommend this short video by Anna Griffin. Once I figured out the order of things, it was pretty easy peasy. You can see my unboxing video and my first project, a gratitude journal, below. Besides the Gold Adhesive Foil and the Plates, Mat, and “Thank You” die that came with the Cuttlebug, I also used a small notebook and my Cricut Essential Tool Set to trim down the foil and to weed out the little holes in the “o” and “a” after it was cut. I’ve had the Cuttlebug for a few months now (and, yes, there are more projects on the way) and there are a lot of things to like about it. It’s affordable. At a suggested retail price of $89.99, it’s at least $100 less than another Cricut machine. It’s small, light weight, and portable. It’s very easy to pack it up, set it up, and carry it to your latest craft event, even without a special tote or a car. And, the suction base helps to keep it anchored while you’re working. It’s simple to use. With no electronic parts or connections, you basically just need to crank that baby! It lets you “unplug” while crafting. If your wifi is down, or you want to turn off your screen, you can still make projects. It cuts AND embosses. While you can use your Cricut Explore or Maker to emboss (just check out this tutorial by Clever Someday to find out how), embossing with the Cuttlebug is very straightforward. You can use a lot of dies and embossing folders made by other brands in the Cuttlebug. If you’re not sure, check the Die Cutting Machine And Dies Compatibility Chart from Scrapbook.com before buying anything new. You can also review the Cuttlebug Sandwich Guide by Personal Diecutting to find out how to position the Plates and Mats with dies and embossing folders from different brands. There are a also few things to consider before buying a Cuttlebug. Cricut doesn’t make as many dies and embossing folders as they once did. 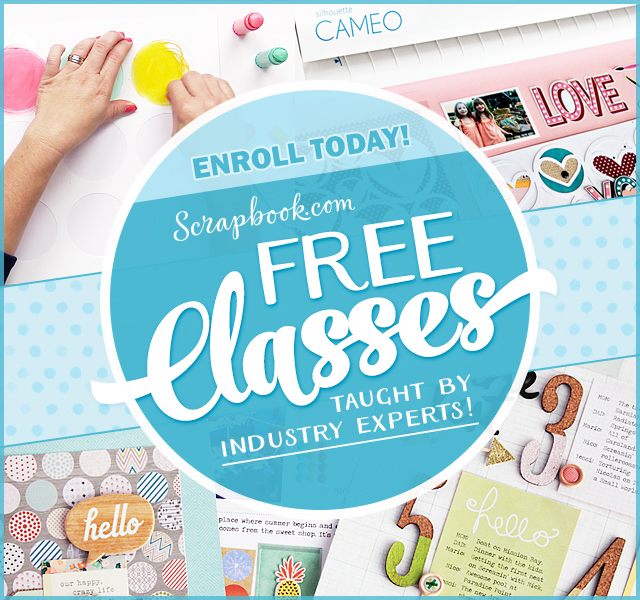 I don’t really see this as a problem because I’ve been able to find a lot of compatible dies on Scrapbook.com, but it is something to be aware of. It’s not a Cricut Explore series or Cricut Maker machine. This may be obvious, but it needs to be stated. The Cuttlebug is a manual, die cutting machine that can cut and emboss paper; cardstock; poster board; thin metals, woods, leathers, fabrics, and felts; and some other materials that are less than 1/8″ thick. It isn’t able to cut hundreds of materials and there is no Cricut Design Space to prompt you about what to do next. If you’re new to manual cutting machines, you’ll need to do some research, but there are tons of resources online, including Cricut’s Cuttlebug FAQ page. It makes a “crunch” when you crank past the die. I was really afraid that I broke the machine when I first used it. But then I learned that this sound is totally normal. Your Plates will look very beat up, right from the start. Again, as a die cutting newbie, I was afraid I was “doing it wrong.” This is the natural order of things, so just breathe and it will be ok. That Anna Griffin video I embedded above gives a great tip for helping your Plates to look their best. You can see the imprint from the “Thank You” die on my Plate when I’m preparing the next project using a totally different die. I hope my review has helped you decide whether the Cuttlebug should join your craft room. I’ve been loving mine and I’m sure you will, too. Oh my gosh I have to laugh. I recently used a brand new hand crank die cut machine and I freaked out when I damaged the plates. I was certain I had broken my friend’s new machine! But I couldn’t figure out what I might’ve done wrong! After searching and searching I determined that it was normal, but I just wanted to say THANK YOU for mentioning that part of the story because newbies just don’t know and it’s SCARY!